Atlantic City has the Ocean. And beaches. Which makes it a much better summer resort than Vegas if you have no gambling inclinations. If you are paired up with someone who loves the slots and tables, but you don't, here's a list of things for you to do in AC. Find more of this and other recommendations for Offbeat Travel in the Northeast on GetawayMavens.com. 1. 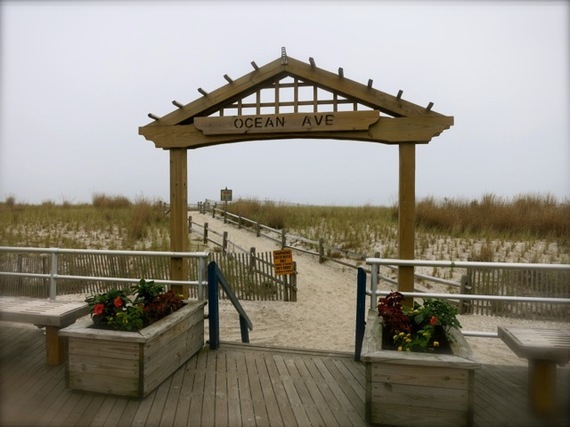 Stroll the Boardwalk. Originally built in 1870 to keep sand out of the resort hotels and shoreline trains, the Atlantic City Boardwalk is now 4 miles long and varies between honky-tonk, carnival, pub-crawl and natural beauty. You never know what to expect, but people-watching costs absolutely nothing. 2. Beach it. 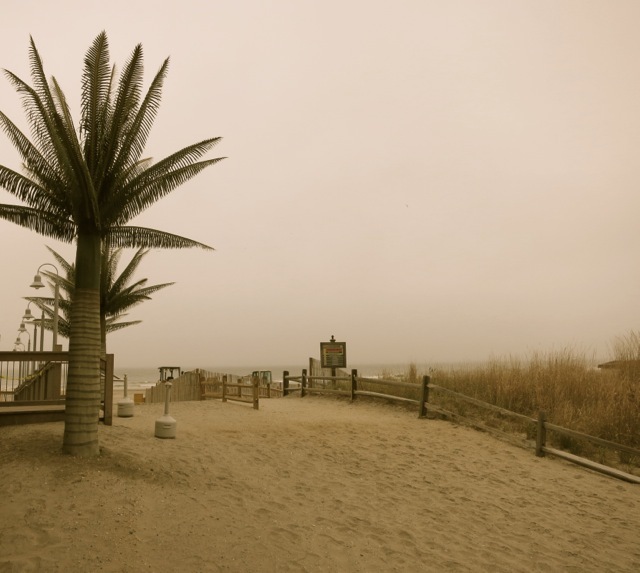 The sand is soft, the beach is wide and the surf is up. Why be cooped up inside those high-rises when you could be out on your boogie board? 3. 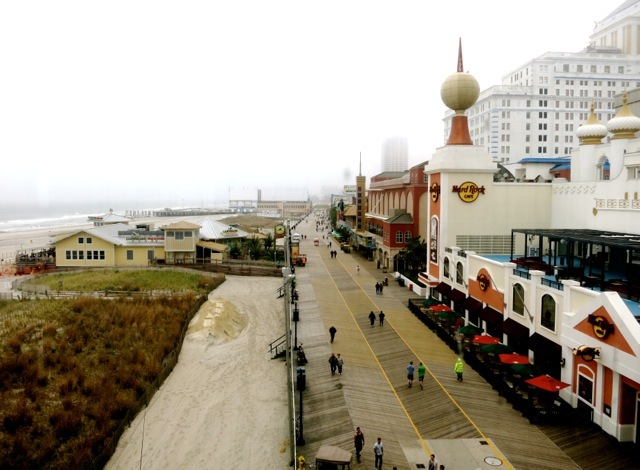 Relive history on the Steel Pier. Now an amusement park, the Steel Pier was a roaring 20's destination: crowds crammed the old ballroom to see Al Jolson in the Marine Ballroom and the Diving Horse at the far end of the pier. The Rat Pack and Beatles also graced these planks before a fire destroyed it in the 70's. 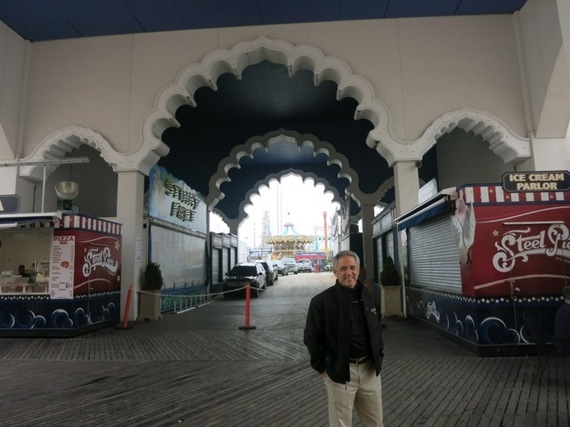 Developer Anthony Catanoso and his brothers have revived the pier, with big plans to bring in a version of the London Eye, a new Ballroom and a Wax Museum. For now, ride The Mix, which flings you right over the Atlantic Ocean. 4. Book a Flow Massage at Exhale Spa @ Revel Casino Hotel ($170). Not only will this one-hour lymphatic-drainage massage allow you to forget you are anywhere near the gaming tables, but reserving a treatment at Exhale automatically gives you the run of the new 35,000 Exhale Spa Bathhouse, including the "Salt Grotto," mineral pool, indoor/outdoor ocean-view pool, thermal baths, saunas and lockers. 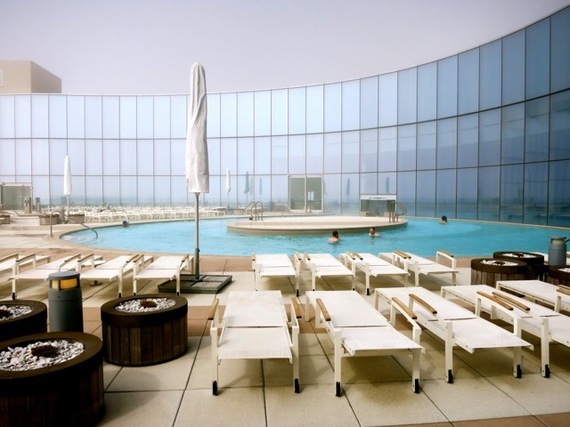 If you'd like to spend the day reveling at Revel, but don't care for a spa service, the day pass costs $75. 5. Gather with the crowds on the boardwalk to see 3-D Light and Sound Show on the Boardwalk - with truly remarkable special effects projected on the façade of Boardwalk Hall - an 8 ½ minute spectacle that will impress even the most lightshow-savy traveler (every night, every half hour beginning at 8:30PM, free). 6. Grab a bite, stay for a meal. 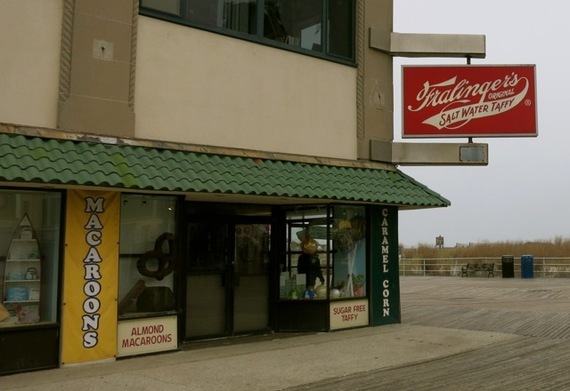 Food in Atlantic City ranges from the cheap fried carnival stuff you'll find on the boardwalk to the best of celebrity-chef dining. 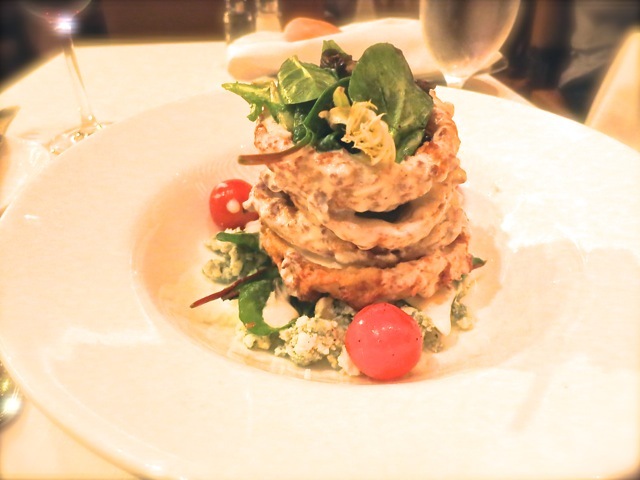 For one special meal, book a table at the boisterous and very fine Bobby Flay at Borgata Hotel and Casino. 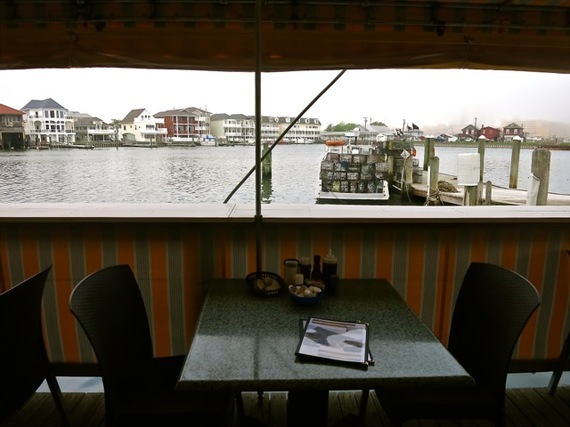 Though a bit pricey, service is not only attentive but congenial, steaks live up to Flay's reputation, and it's the only place you'll find the Crispy Onion-Roasted Tomato-Blue Cheese Salad - a madcap tweak on boardwalk fare. 7. Laugh a lot at the Comedy Club at Borgata. After a hearty meal at Bobby Flay, avoid all the pinging slots and sweaty-men poker tables by high-tailing it to the Borgata Comedy Club where laughter is the ultimate digestif. If you're lucky, someone like "wry and wicked" Maureen Langan will be cracking up the audience. 8. Have a plate of Hot Cakes for breakfast at Gilcrist Offshore Restaurant. On the marina-side of Atlantic City, with a deck overlooking a house-lined canal, this little shack introduces you to the peaceful side of this hedonistic town. 9. Sample then buy some Fralinger's Salt Water Taffy to take home. This has been the go-to Atlantic City souvenir for nearly 130 years - ever since Joseph Fralinger came up with the idea to wrap individual pieces of the sticky confection, cram them in old oyster boxes and sell them by the pound. $8.99 per pound box. 10. Score tickets to a very hot show. 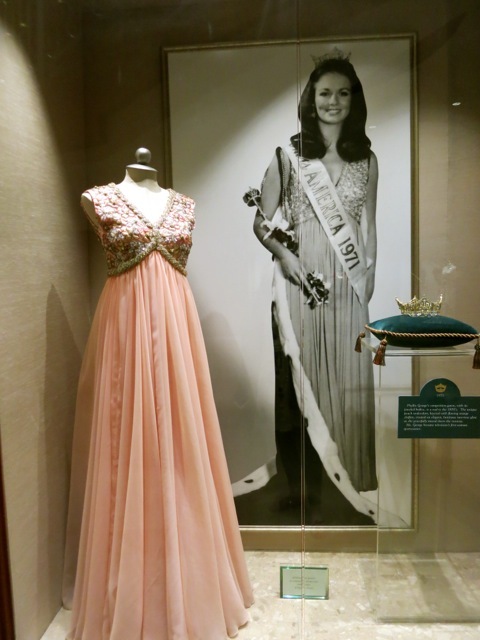 Atlantic City is reclaiming its place in history as showcase for the world's most famous acts. In 2014, Lady Gaga (June 28th), John Mellencamp (July 6th), Michael Bublé (July 12), and Keith Urban (July 17) are just a few of the hundreds of blockbuster shows lined up for the summer season. For a true no-gaming escape, stay at the Sheraton Atlantic City Convention Center. It may not be the most glamorous hotel in town, but those palaces of glitz have casinos attached, and you're trying to steer clear of those, right? This relatively serene Starwood Hotel is several blocks removed from the Boardwalk, has a resort-style circular drive, a Bert Parks statue in the entry garden and a wonderful display of Miss America gowns (with pictures of the winners who wore them) in the lobby - a startling reminder of what Atlantic City was known for before the casinos moved in. Rooms are pleasantly refreshed with updated snow-white bedding and granite baths, and the whole ambience is blessedly calm. Rooms rates from $85 per night.